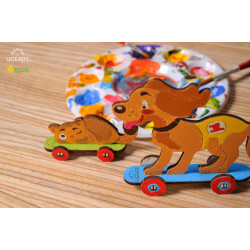 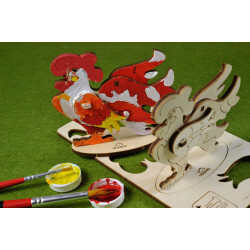 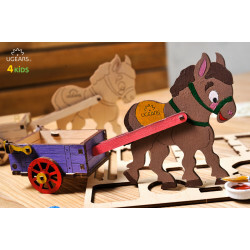 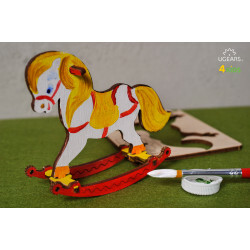 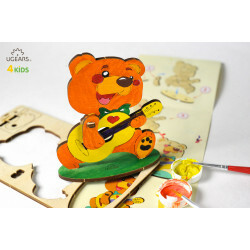 3D wooden colouring model Rocking Horse. 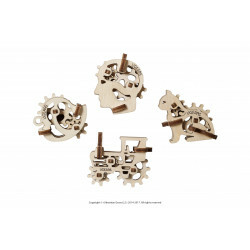 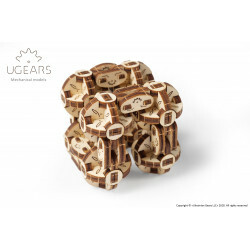 Ugears Rocking Horse is what you really need! 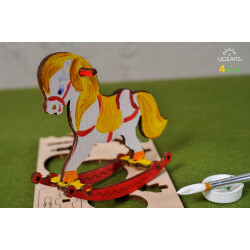 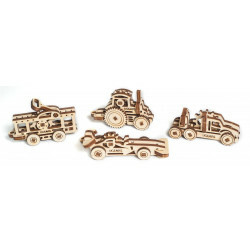 It develops engineering skills, spatial thinking and fine motor skills, captures the imagination of children for a long time. 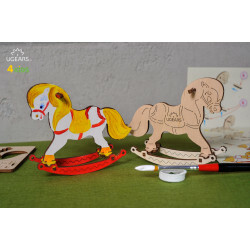 The Rocking Horse was created for entertainment. You can pump the horse on the curved skids of the swing or let your favourite toy to take a ride in the saddle.